We collections professionals are a creative bunch. Because of our great passion, we do not let limited resources get in the way of our commitment to preserve our collections and make them accessible to our community. Tonnes of innovative ideas on how to store different types of objects are developed in museums, libraries and archives all the time. Sadly, these amazing ideas are rarely shared with the rest of the world. In your collection storage area, there are ideas that could benefit others who may be facing similar challenges as you. If you work with collections, at some point, you have found solutions that you or your colleagues are particularly proud of, no matter how simple and modest it may be. You have found new ways to optimize space, to re-use existing materials and to make sensible use of resources. This is your opportunity to share your ideas with colleagues around the world and to learn from theirs. You have until 31 March 2016 to send us your submission. The results will be posted on a Tumblr blog and hosted on the ICCROM website. Important notice: By sending your images, you acknowledge that they are yours and that you have the permission to send them, but that you’re willing share them under a Creative Commons Attribution-NonCommercial 4.0 International licence. This is a RE-ORG International initiative launched by ICCROM in collaboration with the Canadian Conservation Institute (CCI). This post is also available in Italian, translated by Marzia Loddo and in Russian translated by Helena Tomashevskaya. One single bird can keep a registrar occupied for quite a while. We talked about #registrardreams lately and I have a special one: I wish that only one time when my director shows up he finds me all dressed up in a clean working dress with a tidy desk and reporting “no serious incidents”. Alas, it never happened in the last 10 years. Whenever he meets me I’m for some reason or another all dirty with dust and/or machine oil and some colleagues swear that I once told him to hurry up because I had work to do. Be that as it may, I’m really glad he didn’t show up the other day when I was running up and down the storage, swinging a broom and shouting, all in the attempt to shoo a bird out of the hall. Not only did I behave like an idiot, I also looked like a contemporary artwork made out of spider webs, because the bird flew in the most distant corners that haven’t seen a broom in ages. Standing there looking up at the bird who constantly ignored the wide open gate I asked myself if I was the only collection manager on earth mocked by a bird and if I could do better. Close all inside doors to the room the bird is in. Open all gates and windows that lead outside. Turn out the lights in the room, so the escapes appear lit for the bird. Clap hands, swing brooms, shout, behave like an idiot, do everything to shoo the bird towards the openings. 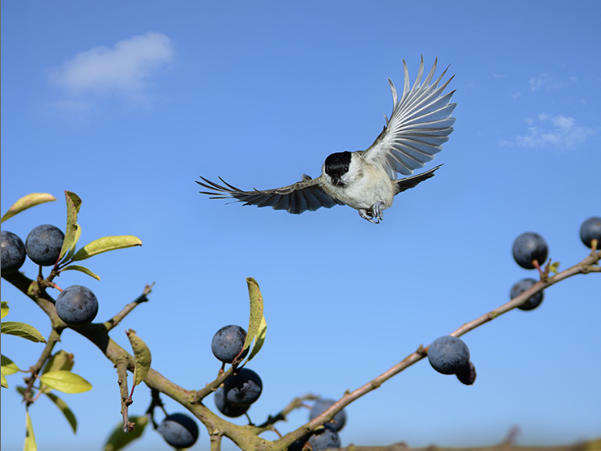 The higher the open window/gate, the more likely the bird will get out. When the bird flies out, close all doors and windows. Kara Vetter pointed out that there are sonic deterrence devices that can be installed near gates if that’s where they come in. 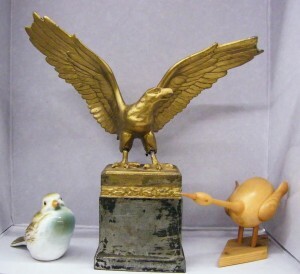 Of course, there are birds in collections that are not an issue. Well, I learned much more than I thought. Thanks to Kara Vetter, Anne Lane, Elizabeth Alberding, Julie Blood, Suzanne Quigley and Janice Klein for the responses and Maria O’Malley for convincing me to write a Registrar Trek post about it. Oh, by the way, I finally managed to usher that little fellow out of my storage, securing my colleague on call a good night sleep. Chasing a bird is one thing but being called in the middle of the night because the burglar alarm went off is much, much worse. I sometimes run into wrong assumptions concerning how silica gel works. One is that silica gel in a display case keeps absorbing water until either the silica gel runs out of capacity or the the interior of the display case reaches 0% RH, which isn’t true. Probably the most helpful thing to know is that the physics laws that govern how silica gel works are the same ones that govern the behaviour of paper, leather, wood, photographs and a great many other things found in museums. What happens when you put a piece of paper into a new environment? Depending on the condition that the paper was stored at before, it will lose or gain water until it reaches some kind of equlibrium with the new environment. If we now raise the RH, the paper will increase in water content until a new equilibrium is reached. Similarly, if we drop the RH, the paper will lose water until it reaches equilibrium with the new environment. So this is all about an equilibrium between the water in the object and water vapor in the air around the object. One last little detail is that in all of these “dry” materials, the water is aDsorbed (with a “d”) and not aBsorbed (with a “b”) In aBsorption, the absorbate is held within the body of the absorbant. Fill a sponge with water and if was possible to cross-section the sponge without the water running out, we would see large and small holes filled with water. This is also a relatively large scale event. With aDsorption, individual molecules of adsorbate are stuck to molecule surfaces in the adsorbant like little refrigerator magnets. They stick on relatively easily and they come off relatively easily. Adsorbed gases are considered to be in a condensed phase. More common condensed phases for water are liquid and ice. so what we have is a phase equilibrium between the adsorbed phase and the vapor phase. Most likely we want to maintain some given RH so we’ll condition the silica gel to our desired relative humidity. We pour the silica gel into the display case and if the case condition and the silica gel are at equilibrium, then nothing happens. If they aren’t at equlibrium, then the silica gel, just like paper, will adsorb or desorb water until equilibrium is reached. This follows Le Chatelier’s principle which says that if a system is at equlibrium and we impose and change on it , (in out case, we might change the RH, temperature, or atmospheric pressure), then the equilibrium will shift in the direction that opposes the imposed change. So if the RH in the case goes down, then silica gel will desorb water and the RH will rise again (although not quite back to where it was.) If you want to put on your lab coat and safety glasses, then you can tell people that it’s obeying the first law of thermodynamics: the conservation of energy. Rochester institute of Technology . This post is also available in French translated by Aurore Tisserand. 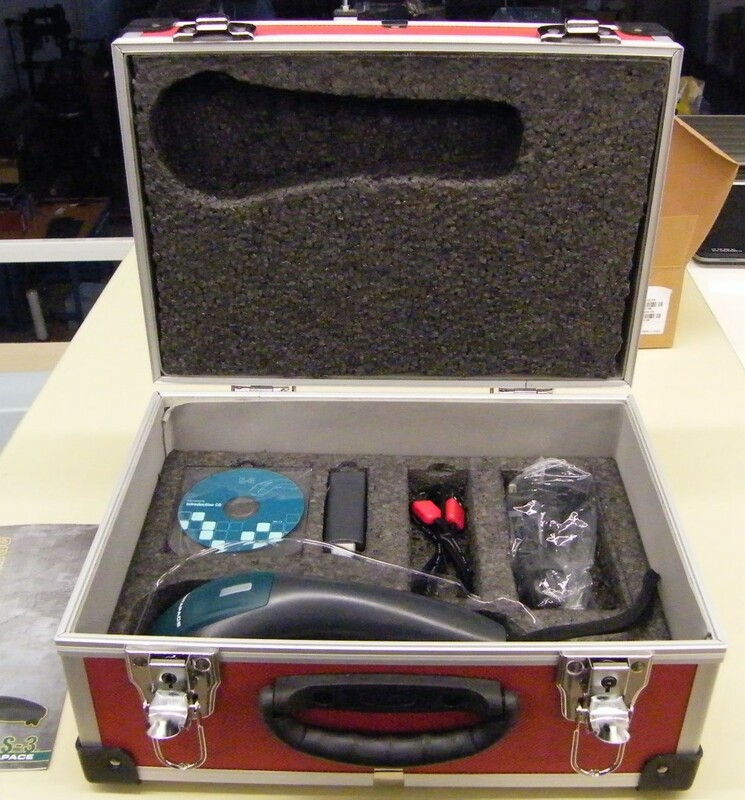 Recently we posted the button storage solution of the MJH. 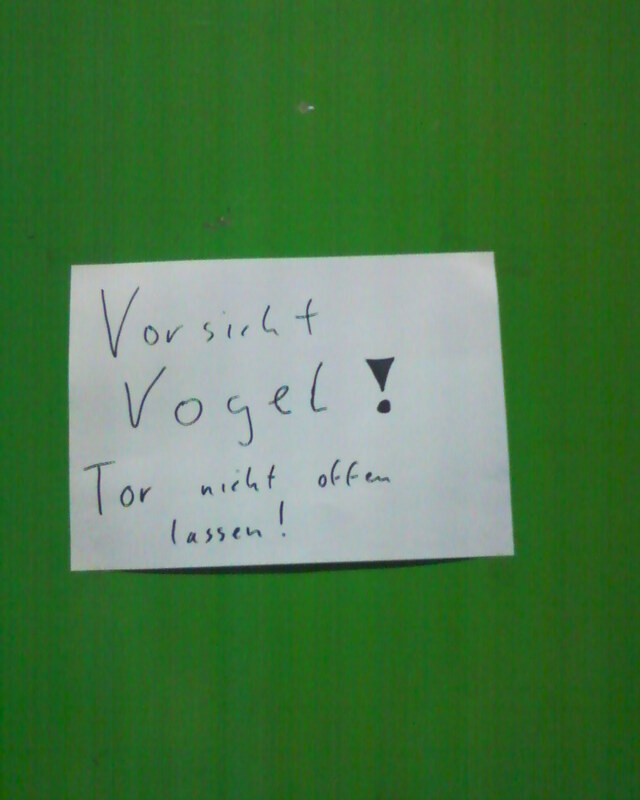 But what if you don’t have a skilled preparator and no time on your hands for such a solution? 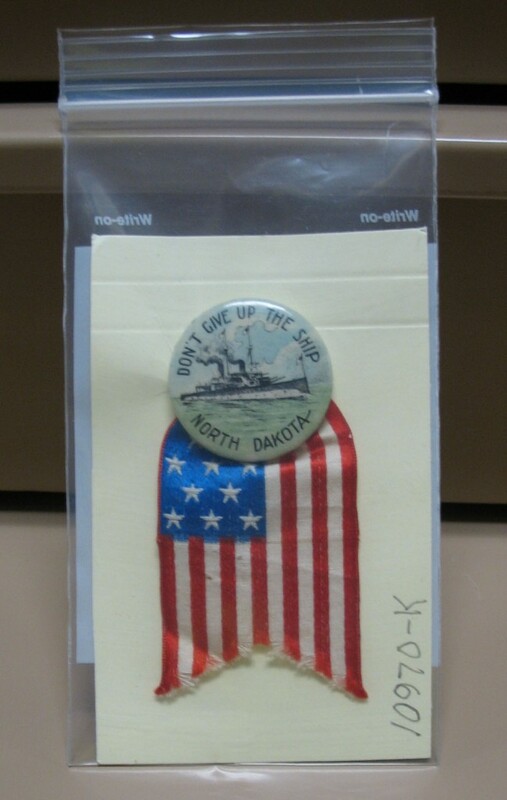 Well, there’s the approach the Curator of Collections Management of the State Historical Society of North Dakota, Jenny Yearous, sent us. “ Acid Free card stock cut smaller than the zippered bag. Small slits are cut in the card stock to accept the pin mechanism. 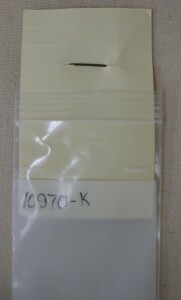 The artifact is labeled with the catalog number, the card is labeled with the number and the outside of the bag is labeled with the number. If/when the artifact goes on exhibit, it can always be reunited with the packaging later. 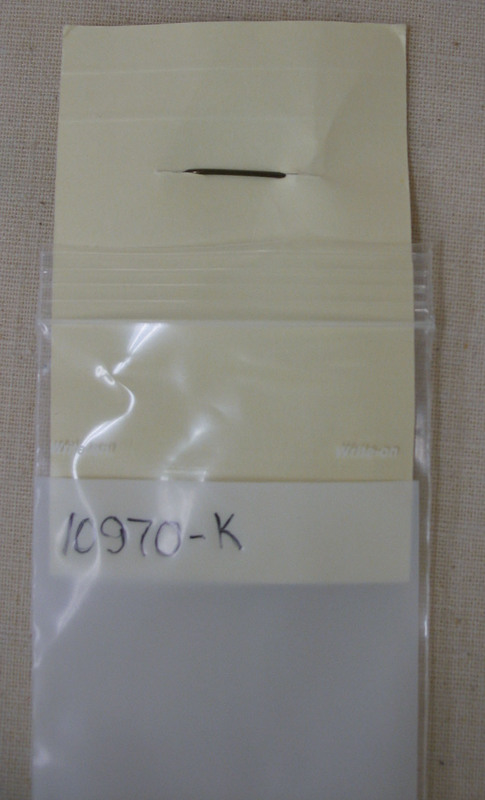 While this artifact is not barcoded yet, the barcode is also be placed on the outside of the bag. 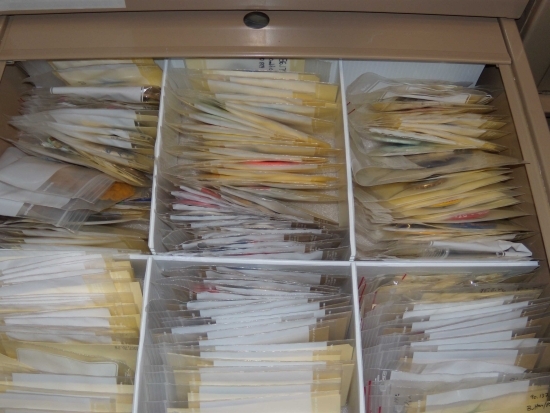 The bags are stored vertically in a drawer or box numerically by catalog number. Because they are in the bags, they can be handled without worry about gloves. Under the right supervision, researchers can easily look at them too. Thanks for this storage solution! This post is also available in Italian, translated by Mazia Loddo and in French, translated by Marine Martineau. This post is also available in French, translated by Marine Martineau and in Italian, translated by Mazia Loddo. 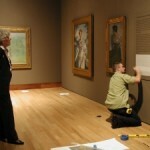 It is common for museums to include in their collections management policies a schedule for the exhibition of light-sensitive objects such as works on paper and textiles. Frequently these policies include recommendations for light levels, and specify the length of time an object can be exhibited before it is returned to storage for a “rest.” The length of the exhibit period and of the rest time are actually purely arbitrary – in reality, all light-sensitive objects have a finite life span. Think of it as each object having a bank account from which you can make withdrawals, but to which you cannot make deposits. Each amount of time on exhibit is a withdrawal. The “rest” period is not a period in which the object recovers from its exhibit time, because – all together now – light damage is cumulative and irreversible. Once the account is gone, it’s gone. You simply have to tell anyone who asks you to shorten the rest time or lengthen the exhibition time that they are really asking you to spend the object’s life faster. Or, to look at it slightly differently, you can display the object frequently now, or you can display it seldom so that your great-great grandchildren might get a chance to see it. As for how long this lifespan may be, that depends on many factors – your storage environment, the amount of light and other environmental factors in your exhibit space, and the fibers, dyes, inks and what have you that make up the object itself. Along with time spent on exhibit, these factors, both those you control and those you can’t control, will determine how long that bank account will last. This post is also available in Italian, translated by Silvia Telmon. Every occupation has its codes, acronyms and abbreviations. As a radio ham I say things like “I’m QRV at 1900 UTC for a QSO on 40 meters, 73!” without even thinking about how odd this must sound to an outsider. While those codes are international and standardized to reduce language barriers, in our registrar’s realm that’s a different story. My English is quite okay but I often stumble on acronyms and abbreviations that are common in the U.S. museum field but I don’t understand. To make international collaboration easier, I started putting together a collection of these with the help of the fine people that contribute to the RC-AAM listserv. Some of the terms are common in the whole USA, others are used regional or only in certain museums. The list occasionally will be updated when I stumble upon another code I am not familiar with or someone contributes a new term. AP = “Abandoned Property”, poor object left behind by its owner. Under what circumstances an object becomes AP is defined by law and varies in the U.S. from state to state. BOL = “Bill Of Lading”, paperwork from shippers. CCMS = “Collections Cataloging and Management System”, a data base. CMS = either “Collections Management System”, a data base or “Content Management System”, a data base used to manage and publish content i.e. for websites. COA = “Certificate of Authenticity”, proof of authenticity and ownership of a work – must accompany the work at all times. Especially common in contemporary pieces and editioned works. COI = “Certificate of Insurance”, proof of insurance coverage on loans and consignments. CR = either “Custody Receipt”, “Condition Report” or document for TC (see TC). DAMS = “Digital Asset Management System”, a data base for managing digital content. DOG = it doesn’t bark, it’s a “Deed Of Gift”, a document that confirms that an object was donated; a legal instrument proving that ownership was transferred to the museum. DOR = “Dead On the Road” term used in natural history museums, in particular zoology, for specimen documentation (personally, I think that’s a bit flat *SCNR*). D/O = “drop-off” or delivery of shipment. FCL = “Full Container Load”, a full container is needed or a full container is booked for exclusive shipment even if not the whole space is needed. See also FTL. FIC = “Found In Collection” and object that appears when working with collections and has no accession number on it or any other sign that tells the registrar where it came from. Researching FICs can be annoying, but finding the original accession number through research is one of the most satisfying moments in a registrar’s life. See also FITS and FOP. FITS = “Found In the Stacks”, kind of FIC for documents. FOP = “Found On Property/Premises”, see FIC. FTC = “Foot Candles”, a measurement for light. One foot-candle is equivalent to 10.76 lux. FTL = “Full Trailer Load”, a full truck or exclusive shipment, see FCL. GFR = “General Facilities Report”, revised by the RC-AAM and published by the AAM in 2008. This current 30+ page document is an expanded version of its predecessor, it includes more topics now examined by the insurance industry in the wake of catastrophic events which had occurred since the early 2000’s as well as updates within the profession itself. Essential to complete if intending to borrow and also used as a tool for having all information about an institution in one gathered document to be used for any construction or renovation projects. The former title, “Standard Facility Report” (SFR) was changed at this revision because too many thought it meant that the document contained the standards and best practices for the areas covered in the report. IPM = “Integrated Pest Management”, term that sums up all efforts taken to protect the collection from pests – active and preventive. LOFO = “Last On, First Off”, a term that applies to shipping procedures, for example a lender can request that his objects are the last that are picked up and so are the first that are unloaded at the borrower’s museum. That way these objects are handled the least and are on the truck for the shortest amount of time. LTL = “Less Than Trailer Load”, generally means a freight job that is less than the full truck or trailer load. NAC = “Non-accessioned collection”, collection still to be accessioned or not intended to be aquired (i.e. a collection that is temporarily taken into custody for another museum). PBS = “Packed By Shipper”. POA = “Power Of Attorney”, a document stating that someone is legally entitled to act on another’s behalf. PTL = “Proposed Temporary Loan”. P/U = “pick-up point” or origination of shipment. R = “Recto”, face of a document, painting, coin or graphic. Also, the “right” or more important side of two-sided objects; in a book it designates the right-hand page. RA = “Related Accessory”, a part belonging to an object. or designers to submit their proposals for these tasks. RFQ = “Request for Quote/Quotation”, if a museum has a task to perform (i.e. building a special crate or shipping something to XY) they might ask a company or a number of companies for a bid. ROD = “Receipt Of Delivery”. RTD = “Return To Depositor”, returning an object to its owner, for example a lender after the end of an exhibition. SFR = “Standard Facilities Report”. The predecessor of the GFR; published in 1989 and revised in 1998 it put on the same page the larger art museums which were borrowing and lending often. Sections include questions about staff structure, loan history, security procedures of the institution, environmental controls and the building facilities and more. A borrower’s capabilities to handle a loan were measured by responses to these and many other questions. SOP = “Standard Operating Procedures”, how things have to be done. SOW = “Statement Of Work”, document which defines how something needs to be done (i.e. by a designer or company). 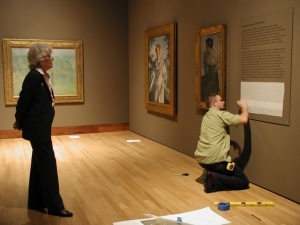 TC = “Temporary Custody”, object taken into custody for a certain time span, for example for a certain exhibition. TIN = “Temporary Inventory Number”. TLC = “Tender Loving Care” is what every museum object needs, but especially used for objects that need intensive care. V = “Verso”, back side of a document, painting coin or graphic. Also, the “wrong” or reverse side of a two-sided object; in a book it designates the left-hand page. VIC = “Very Important Cargo”, the VIP among the shipped artifacts. PR = “proper right”, helpful relative direction. For example: if you do a condition report of a painting that shows a woman and there is damage on the hand on the left in the image as you are looking at it, this is noted as proper right (you are looking at the hand on the left, but on her person it is her right hand). PL = “proper left”, see PR, only with her “proper left hand”, obviously. ASAP = “as soon as possible”, normally every document, loan agreement, insurance contract,… is needed ASAP – at best one day before asking. misc. = “miscellaneous”, a word that most registrars dislike, because it is so vague. It means “stuff” and is often used (by non-registrars) to label files or contents of boxes when the contents are too varied to be described properly (or one is too lazy to write down all the things that are really in the file or box). ARC = “Australasian Registrars Committee” or “Austrian Registrars Committee”, so be careful to look up the location. TMS = “The Museum System”, a data base software. I recently started a survey on journals, magazines and newsletters for conservators. The aim was and is to gather a comprehensive list of information sources world wide. Until today there doesn‘t seem to exist anything alike and I believe that it will contribute to better information and networking among museum professionals. Since registrars are gaining importance and taking over duties that where formerly carried out by conservators I believe it’s interesting and important to collect sources for registrars too, broaden the horizon and interlink both groups alike. There are, at the time I’m writing these lines, 46 journals listed in a database that I made available online. Only a handful of them are covering topics that are interresting for registrars. You can make the difference! 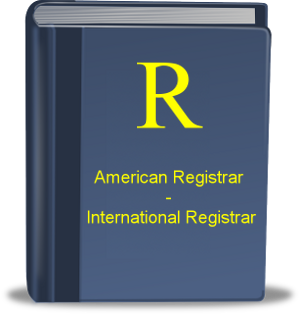 Please help me to collect online and ofline resources for registrars. > Login as Guest “Gastkonto” to browse and search the entries. > Login as “Editor” and use “contribute” as passphrase to add or edit entries. 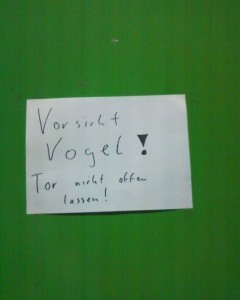 > You may also write me a mail (a.franz[at]divisual[dot]net) with your suggestions and recommendations.